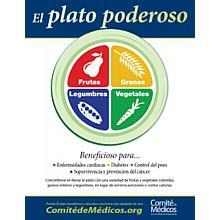 Nutrition Rainbow (Spanish Language) has been added successfully to your wishlist. Our Nutrition Rainbow is used in our Food For Life classes to demonstrate the benefits of eating from the whole color spectrum. 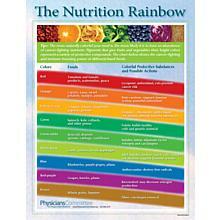 This chart will give you examples of foods from the various colors of the rainbow as well as their protective nutrients and health benefits. Order them here for professional glossy prints or download them for free from pcrm.org/factsheets. Free shipping (U.S. only).